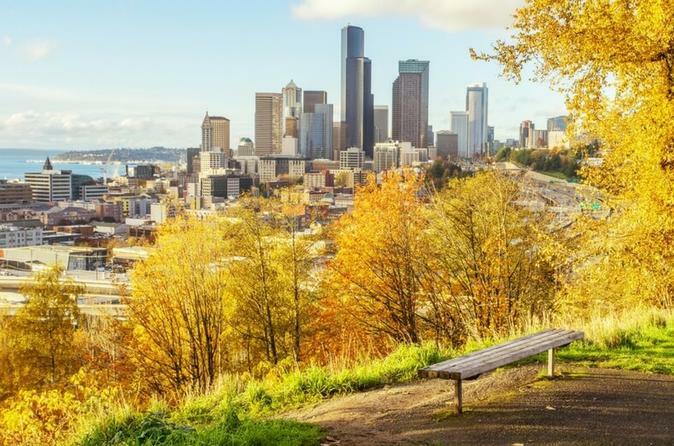 Discover the diverse melting pot of Seattle’s culture, cuisine and history as you explore three of its most distinct and culturally significant neighbourhoods; Chinatown International District, Pioneer Square and Pike Place Market, the most beloved spot in the Downtown area. Pass under the dragons guarding the gateway into Chinatown and explore the neighbourhood, trying authentic foods, visiting the Luke Wing Museum and shopping for quirky gifts and tasty treats in the Uwajimaya Japanese supermarket. From here, stroll through Pioneer Square on your way to Pike Place, where you can appreciate the history of Seattle and learn about its heritage, before you indulge in some delicious Pacific Northwest cuisine at the city’s most beloved market. Explore Seattle from the Chinatown International District all the way to Pike Place Market with a Local Host by your side! Begin your experience in Chinatown, located in the International District. In the Panama Hotel Tea and Coffee House, you could start your day with a tea or freshly squeezed lemonade, where the walls are lined with newspapers that span the history of the Panama Hotel and provide their own window into the history and culture of the Japantown part of the neighbourhood. Visit the Wing Luke Museum, which is an important cultural anchor and tells the story of the city’s residents and the Asian Pacific American experience, exhibiting work from different cultures who all call Seattle home. While you’re in the area make sure to stop at Seattle’s Pinball Museum, which has 40 different pinballs machines, and explore the Uwajimaya Japanese supermarket where you’ll find authentic produce, delicious snacks and cute and quirky gifts to take home! Make your way to historic Pioneer Square learn about the heritage of the city and this neighbourhood in particular. You could visit the Klondike Gold Rush National Historical Park, plus, don’t forget to check out the Waterfall Garden Park which features a 22-waterfall in the middle of Pioneer Square. If you need a coffee break head to Zeitgeist where you can stop to get your fix as well as checking out the incredible art that’s exhibited here, as this coffee house is popular with Seattle's local art crowd. Move on to Pike Place Market for lunch and try some of the traditional Pacific Northwest cuisine like fresh caught oysters (fried or raw), Dungeness crab, fresh halibut, smoked salmon or warm up with some clam chowder. As well as countless delicious Pacific Northwest dishes and local produce to taste, stop by the original Starbucks cafe, browse the stalls of over 225 local artisans and watch the famous fish throwing!